The Verticus range of Bauer breathing air compressors are known for their durability and high performance in demanding continuous operations. The modular arrangement of the Verticus range allows a customer-tailored compressor unit according to individual requirements and provides a simple upgrading such as larger or additional filter housings, Securus filter monitoring, external filling panels, storage systems and others. The custom tailored concept for a safe breathing air supply for big diving centres. High capacities and the legendary reliability of Bauer provides a safe and rapid breathing air supply round the clock. The sophisticated noise abating cabinet assures super silent operation (Verticus range). The patented P-purification system provides the supply of compressed breathing air according to EN 12021 breathing air standard. For use in particularly noise-sensitive environment. Super silent operation with less than 68 dB(A)* due to high absorbent special insulation materials in and efficient noise reducing construction of the “super silent” cabinet. Comfortable monitoring of all compressor performances via B-Control. The new optional B-Messenger offers remote monitoring and control. Due to the vertical housing design the block is easily accessible for maintenance work. 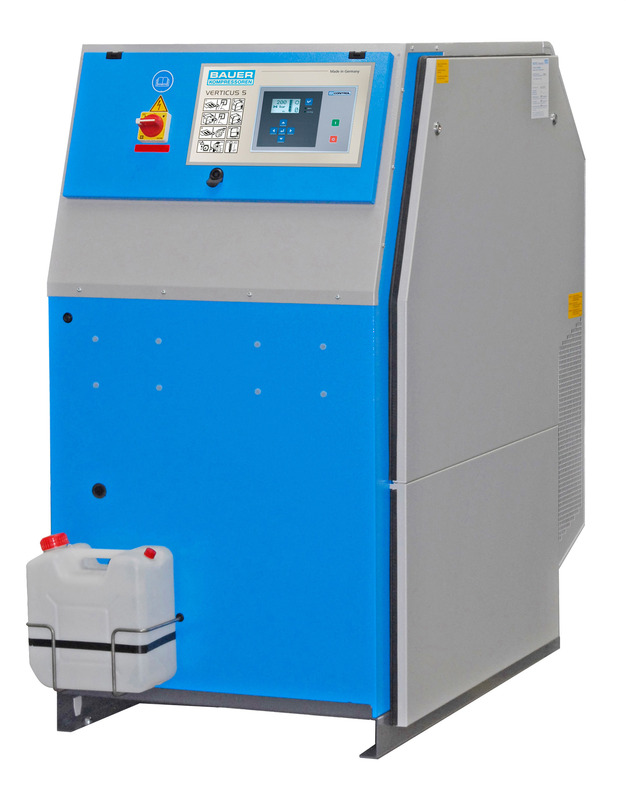 The efficient P61 purification system provides purest breathing air according to DIN EN 12021.